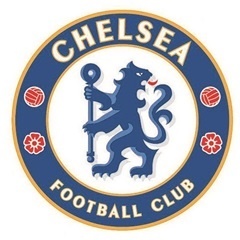 Cape Town - Former Chelsea goalkeeper Asmir Begovic believes the last few weeks of the transfer window will be crucial for the defending Premier League champions. The Blues have endured a testing transfer window so far, with manager Antonio Conte expressing his frustration with their lack of signings. Alvaro Morata, Antonio Rudiger, Tiemoue Bakayoko, and Willy Caballero are the only additions to the side, while John Terry, Nathan Ake, Nathaniel Chalobah, and Dominic Solanke have left. However, Begovic, who has left for Bournemouth, believes his former side will have a busy end to the window. "Obviously they have let a lot of players go, a lot of players have left for many different reasons, but there’s still just under a month left of the transfer window. A lot of things can happen," Begovic told talkSPORT. "I don't think you’re going to see the true Chelsea until the end of August, but they can't afford a slow start. "I’m sure they’ll want to get off to a good start with the Champions League coming up and a Premier League title to defend too. "They’ve got an important couple of weeks ahead."